A verdant suburban enclave north of Barnet that is favoured by football glitterati, leafy Hadley Wood teeters on the border between Greater London and Hertfordshire. 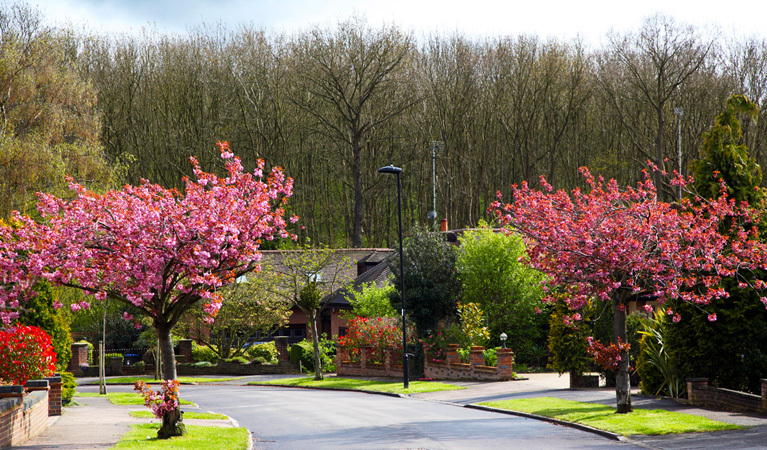 The area is heavily family-orientated, offering lots of great attractions for children, such as Trent Country Park – once a hunting ground for royalty including Henry VIII, now with dedicated walking, cycling and horse-riding routes via which to explore the 400-acre expanse. There’s also the Wildlife Rescue Centre, which is home to deer, foxes, rabbits and birds. For the grown-ups, there’s a parade of independent shops, restaurants and other amenities in Hadley Wood Village and travel into central London or further afield is by way of the railway station or Cockfosters and High Barnet Tubes. For fans of sport, there’s Hadley Wood Golf Club – a luxurious venue, with its own Georgian clubhouse set on a hill in private parkland; a tennis club with five floodlit courts; cricket club; football club (of course); and two bridge clubs. Spike Milligan had a huge mansion near Hadley Wood, which is said to have played host to Prince Charles and Peter Sellers, among other well-known faces. In Hadley Wood, Tudor-style, Victorian, Edwardian and newly developed gated mansions abound, including some of Barnet’s most expensive homes. Particularly covetable addresses include Camlet Way, Crescent West, Crescent East, Beech Hill, Lancaster Avenue and Cockfosters Road.